Photo radar is used within the City of Medicine Hat to monitor school and playground zones, high density, high collision traffic areas, and areas not normally monitored because it is not possible by conventional means, or it is too dangerous. Other locations have been established due to public concern. These locations can vary from side streets to multi-lane traffic arteries. All new photo radar sites are established in accordance with the Provincial government’s Automated Traffic Enforcement Guidelines. If you would like to identify a road safety issue that is of concern please do so by using the Traffic Services Request form. The unit utilizes two vehicles to monitor the various photo radar sites throughout the City. One of the vehicles is mainly dedicated to monitoring speeds within school and playground zones. Effective Sept 1, 2016 all City of Medicine Hat school & playground zones are posted as playground zones only. All playground zones will be in effect from 7:30 am until 9:00 pm 365 days a year. How photo radar works: The photo radar system consists of a low powered Doppler radar antenna, a high speed traffic camera with flash unit, a main processing unit and a control unit. When a vehicle travels through the radar signal the difference in the reflected radar signal is measured and a speed is calculated. If the speed is greater than the set trigger speed the camera takes a picture of the rear of the offending vehicle. 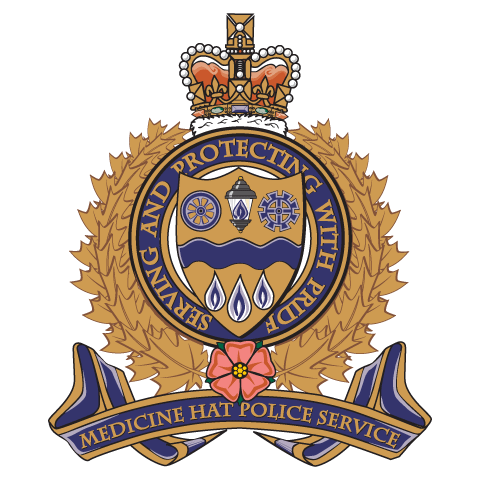 In Medicine Hat we have experienced some significant improvements to road safety within our photo radar locations. Although it would be impossible to conclude that photo radar enforcement is solely responsible for the reduction in motor vehicle collisions, the statistics indicate that photo radar as part of our total road safety plan, has contributed to a positive improvement in road safety within our city. Of course an effective road safety plan involves an integrated approach which includes Patrols, our Traffic Response Unit and Specialized Traffic Enforcement to provide education about the safe operation of motor vehicles and enforcement of traffic laws.